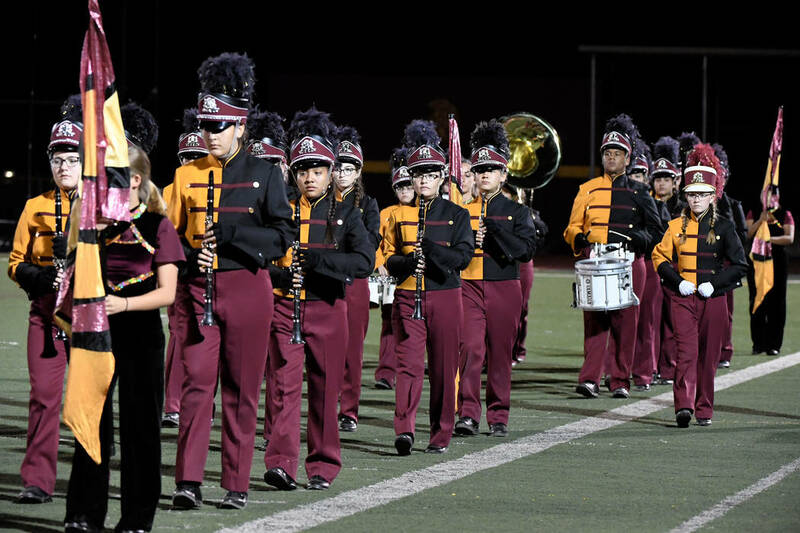 The Pahrump Valley High School Golden Legion Marching Band are preparing for its journey to Hawaii later this year as the group has reached its funding goal with the help of local businesses, individuals and others. The band is still seeking funds for incidental expenses that may arise during the trip. David Jacobs/Pahrump Valley Times The Pahrump Valley High School Booster Club's booth is shown at the Pahrump Fall Festival. The band reached its fundraising goal of $80,000 in October but is still looking to gain funding for incidentals for the December journey. Peter Davis/Special to the Pahrump Valley Times The Pahrump Valley High School Maroon Legion Marching Band took the field at halftime of the homecoming game against Sunrise Mountain on Friday night. 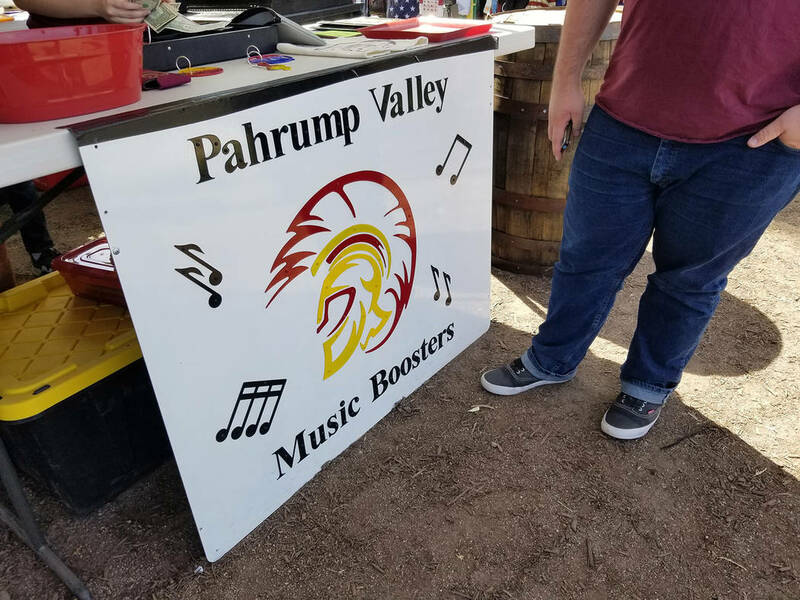 In a letter addressed to the Pahrump community, the Pahrump Valley High School principal, and high school music teacher, Michael Wineski, thanked all of those who have supported the effort over the past several months. The band will travel to Hawaii for a special performance to remember the Pearl Harbor attack. The assemblage was invited to perform for the 77th anniversary of the event to perform at the annual Pearl Harbor Memorial Parade. Because of the donations, students will now have “a once-in-a-lifetime opportunity to perform” at the event, the letter stated. Donations can be sent to Pahrump Valley High School at 501 E. Calvada Blvd., Pahrump, NV 89048. Address the letter to the music department. Hand-delivered donations can also be brought to the high school’s office as well. Nye County commissioners, sitting as the governing board of the town of Pahrump, voted to give $30,000 for the effort earlier this year.